Your message will hang around with this billboard in a car! Scented heavy weight coaster board with black elastic loop utilising our standard car shape. 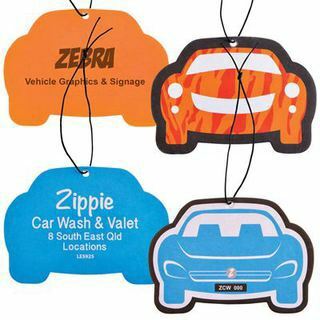 Choose standard car shape or design your own custom die cut shape. Current fragrance choice of Lemon, Apple or New Car, ask for availability of other fragrances.